MERCATOR,G./ HONDIUS,J. - Iapan I.
Iapan I. - MERCATOR,G./ HONDIUS,J. Size : 5.0 x 6.5 inches. / 12.8 x 16.5 cm. 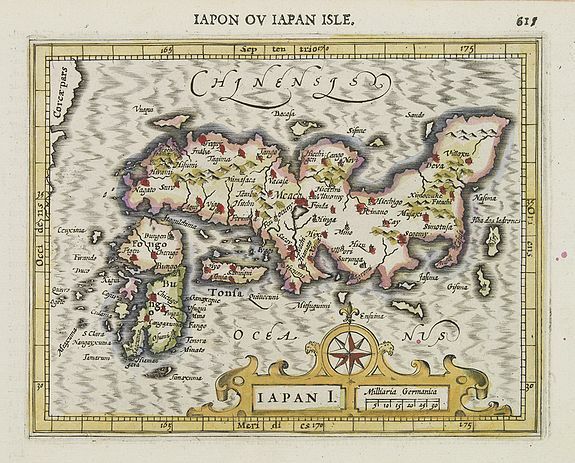 Description :Map of Japan from the first French-text edition of Jodocus Hondius' Atlas Minor. Condition : Good margins. Good condition.